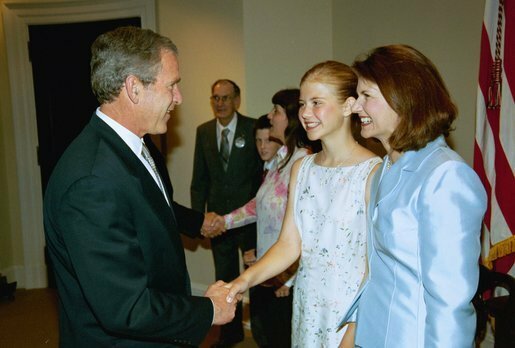 Elizabeth Ann Smart (born November 3, 1987) is an American woman who was kidnapped when she was 14 from her home in Salt Lake City, Utah on June 5, 2002. She was found alive on March 12, 2003 about 20 miles from her home. She was found with two homeless adults, Brian David Michell and Wanda Barzee. Barzee was Mitchell's legal wife. Police believe that Elizabeth was taken to be Mitchell's second wife. Smart has put the kidnapping behind her. She is now studying harp at Brigham Young University. She would like to play harp in an orchestra or teach the harp to others. She has appeared on television in support of laws that would give offenders of children a harsher punishment. She has said very little publicly about her kidnapping. She has also made it clear that she does not want to publicly comment very much about her ordeal. Elizabeth Smart Facts for Kids. Kiddle Encyclopedia.